Gold is often referred to as a safe haven, and is perhaps one of the most widely recognized alternative investments. Historically, gold has attracted investors because it is portable, was actually used as currency, was and is readily converted to cash, and has tended to retain its value. In more recent years, it has been become popular during times of financial turbulence in the stock market, and as a hedge against expected inflation. Unlike most other commodities, the price is determined less by demand and supply, and more by sentiment. While some view this alternative investment as a safe asset and a particularly suitable long term hedge, others view it as a volatile commodity and speculative short term investment tool. The price of gold in recent years has proven that both views have a degree of validity. Inflation can have a devastating effect on wealth and buying power. Investors wanting a cash alternative during periods of expected or high inflation will often invest in gold, either through direct purchase, or quite commonly via futures or derivate contracts, or gold funds. Many investors will purchase gold with the specific objective of hedging against the decline of a particular currency, usually the U.S dollar. Since the gold standard was abandoned in the 1970’s, there has been an inverse correlation between the relative value of the U.S dollar and gold, and during the past 10 years when the U.S dollar devalued more significantly than it had in any other period, the price of gold tripled and for the first time reached $1000USD per ounce. Gold is a useful tool for diversifying a portfolio of investments. Although stocks have greatly outperformed gold over the long term, there have nevertheless been periods when gold has performed especially well. During the 2008 Great Financial Crisis, gold was an extremely good investment because virtually all financial assets except gold, collapsed in value. Gold is a very liquid asset, which can be quickly converted into cash with no redemption penalty. Many other alternative investments, eg. real estate, private equity funds, and hedge funds can be difficult to dispose of quickly, and when a fast sale is possible, it is usually at a heavily discounted price. Like all commodity products, gold is subject to periods of high price volatility. While longer multi-year trends show more stability, the short term volatility can be extremely uncomfortable for a lot of investors. 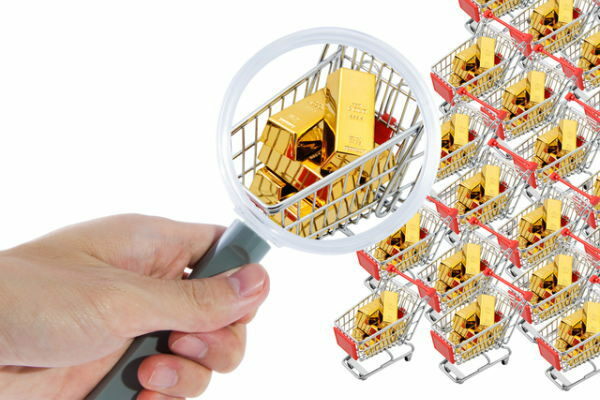 Central banks in many countries have large gold holdings, and when they choose to buy or sell gold, they can do so in quantities that have an immediate impact on global gold prices. At the same time, the price of gold can be impacted by the interest rate decisions of these central banks. Since policy decisions by the central banks can be difficult to predict, and markets often respond immediately to announcements made by central banks, investors struggle to effectively pick the right timing for their gold investments. Investors traditionally invested in gold through physical gold holdings, via bars, bullion, or coins. This does add the extra concern of security and the need for insurance, although there are now trading mechanisms to hold physical gold through intermediary trading houses or banks as opposed to in your home or office. The downside of investing in the actual commodity is that there is no interest, nor dividends, attached to the physical investment. Increased interest in alternative investments has led to the creation of gold based exchange traded funds. These are stock market listed funds where the price of the fund is based on the underlying price of gold, allowing investors to invest in gold without the need to physically hold it. Another way to invest in gold is to purchase stock in companies that mine and sell gold. This way is a preferred by some investors because the underlying value of the stock is heavily driven by the price of gold. Gold mining stocks will typically pay dividends, so during the holding period income can be generated. Overall, gold can be a useful alternative investment providing diversification and hedging to a portfolio. To achieve any kind of success with gold, however, an investor must be aware of both the risks, and the benefits of gold as an alternative investment. A finance & accounting specialist with extensive experience in financial reporting and management consulting, Jeff manages the tax and consulting practices at Armstrong & Glen, delivering solutions to clients globally.Jeff is also heavily active in the investment industry in South East Asia and the origination and development of opportunities in the Health, Insurance, and Technology sector.